In late 1978, Rick Abel Sr. and his brother Rosaire bought a single skid-mounted incinerator and put it out for rent. Soon after, they got a request for another incinerator, so they bought another and got it into the field – and then the phone rang again. And so it began. By June of the following year the two brothers, together with their cousin Albert Klyne, had incorporated Ketek (pronounced “key-tech,” and chosen because the partners liked the idea of combining key people with technical expertise, and they liked palindromes). Two years later, with Ketek’s business taking up more and more of his time, Rick Sr. left his job at an Edmonton-based engineering and land surveying company and went to work full-time for Ketek. 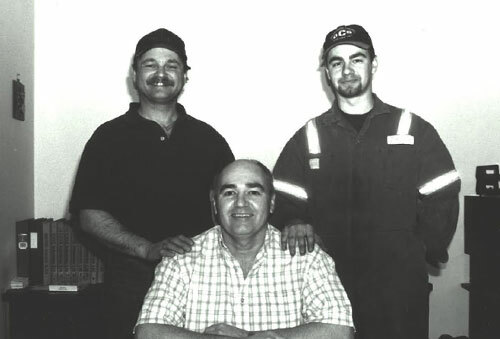 His older brother, Vern, who had a tremendous amount of oilfield experience, joined the company in 1983 and the company bought a single bay and some land west of Edmonton. That land still forms a portion of the company’s current head office. From the beginning, the partners set the company apart by providing scheduled servicing and repair of equipment in the rental rate. This allowed customers to calculate the real cost of the equipment and dispensed with additional, unwelcome fees for service, cleaning or repair. This method is now industry-standard. Rick Sr., his nephew Rick Lee Abel (current VP of Support Services) and son Brad (now President) around 1998. Ketek grew organically, and through a series of acquisitions. In the early 1980s, Ketek’s supplier of incinerators failed. 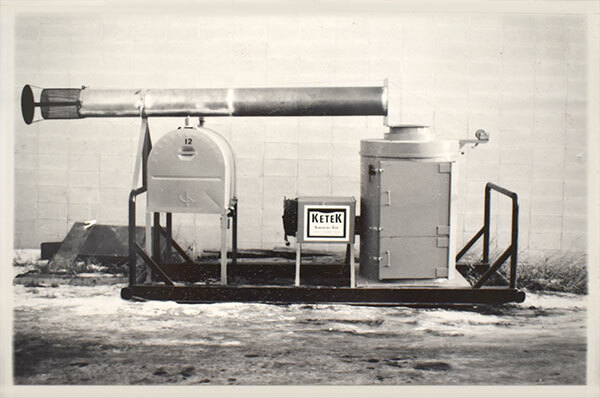 Ketek’s partners bought the assets and, in 1984, incorporated Westland Incinerator Company to provide new equipment and parts for the company’s growing fleet. Westland grew into an international supplier of incineration equipment and absorbed its main competitor, Howell Refractories, in 1992. Also in 1992, the shareholders of Ketek bought a dewatering company, Groundwater Control Systems, which provided groundwater management services for municipal and industrial construction. This purchase allowed for the optimization of Ketek’s staff as the rental business was busy in the winter months and the construction industry was busy dealing with water issues in the summer months. Ketek has always appreciated a good truck. Here’s one of the early ones. As the companies developed and staffing levels grew, and as safety compliance requirements grew, the owners of the group identified the need for a more professional approach to employee safety. In 2002, the partners incorporated Alltek Loss Prevention to provide program development, employee training, and professional consulting services in the safety industry. Alltek also provided prime contractor services in the land development field to support its major clients in residential and commercial construction. To better provide a consistent level of service to a broad client base, Ketek’s ownership group decided in 2009 that the companies should amalgamate and provide their services as a united entity. In January 2011, the group officially started to provide services as Ketek Group. 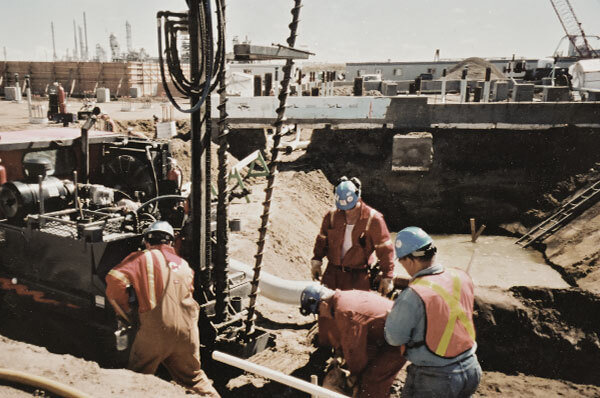 Ketek crew working on a massive groundwater dewatering project for the Scotford upgrader, north of Edmonton, in 2002. 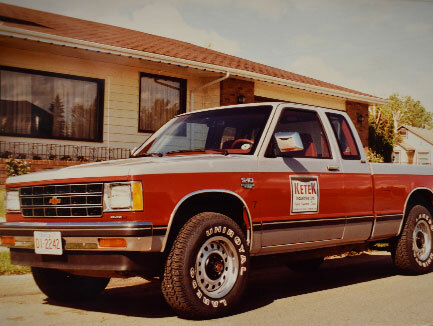 Ketek opened its first branch office, in Fort St. John, B.C., in 1990. It opened one in Fort Nelson, B.C. in 1996, Fort McMurray in 1999, Grande Prairie in 2011, Cold Lake in 2013 and Saskatoon in 2017. Those seven offices allow Ketek to provide fully supported services to our clients across Western Canada. Ketek, now with more than 400 employees, has worked with companies throughout the upstream and midstream oil and gas sectors. We have worked in the oilsands and in the mining, forestry and agricultural sectors. We have worked for municipal, institutional and international clients and for the armed forces. We provide facility site services and have acquired distribution rights with suppliers of specialized equipment. We have developed strategic affiliations with various associations and educational institutions. Our international sales are assisted by agreements with international distributors in six countries. 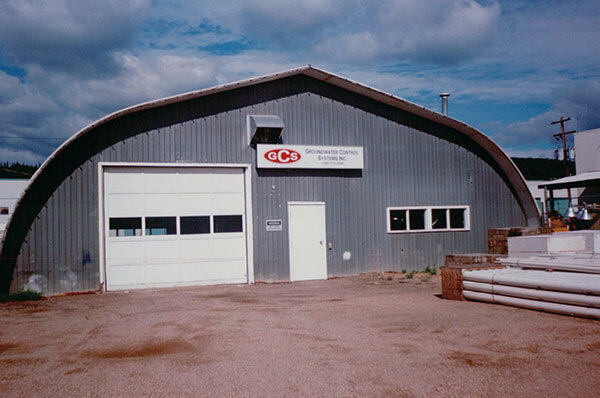 Ketek's first presence in Fort McMurray, in 1998, was via the Groundwater Control Systems' quonset hut. We pride ourselves on the relationships we build with our clients and on the length of our timelines. That first incinerator, in 1978, was rented to Petro-Canada which, in 2009, merged with Suncor Energy. 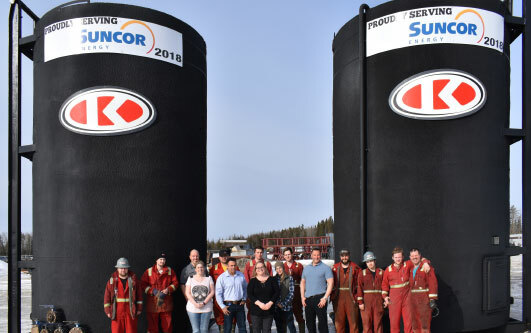 Suncor remains one of Ketek’s most important and valued customers, and Rick Sr. continues to lead the company as Chief Executive Officer and Chairman of the Board.